OOPS! 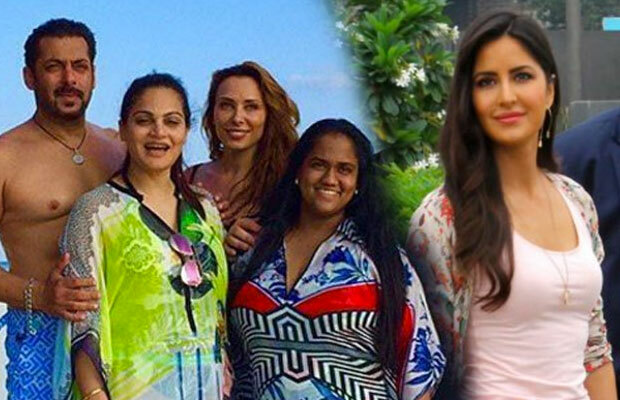 Katrina Kaif Misses The Family Celebration in Maldives Due To The Presence Of Iulia Vantur? Everyone close to the Khan family, except Katrina Kaif, attends Ahil’s birthday bash in Maldives. It is now known to everyone that the Khan family took off to Maldives to celebrate the cute little Ahil’s first birthday. With the family members, some close friends and relatives were also invited along. But there was someone who was missing from the family celebration. And it was the famous Bollywood actress, Katrina Kaif. Inspite of being Arpita Khan Sharma’s very close friend, she was nowhere to be seen in the family vacation. Another interesting thing to be noted was that Salman Khan‘s rumoured girlfriend Iulia Vantur was there throughout the celebration. Now, this can also be a possibility that due to her presence, Katrina didn’t attend the birthday bash. And it is quite reasonable as well, because Katrina is Salman’s ex-girlfriend and Iulia is allegedly the present one. To avoid an awkward situation between the two, maybe the Ek Tha Tiger actress decided to skip the event. The actress is currently shooting for Tiger Zinda Hai in Austria, for which Salman Khan was also there. But the actor could not miss his beloved nephew’s first birthday, for which he flew into Maldives. The film is slated to release by the end of the year. Reportedly, both Kat and Salman have performed deadly stunts in Austria for the movie. The film is slated to release by the end of the year. According to another report, the two of them will be again pairing up for a movie. It is going to be with Salman’s brother-in-law, Atul Agnihotri. Well, the reason why Katrina was not there in Maldives can be best explained by the actress herself. But that is when she decides to speak on it!